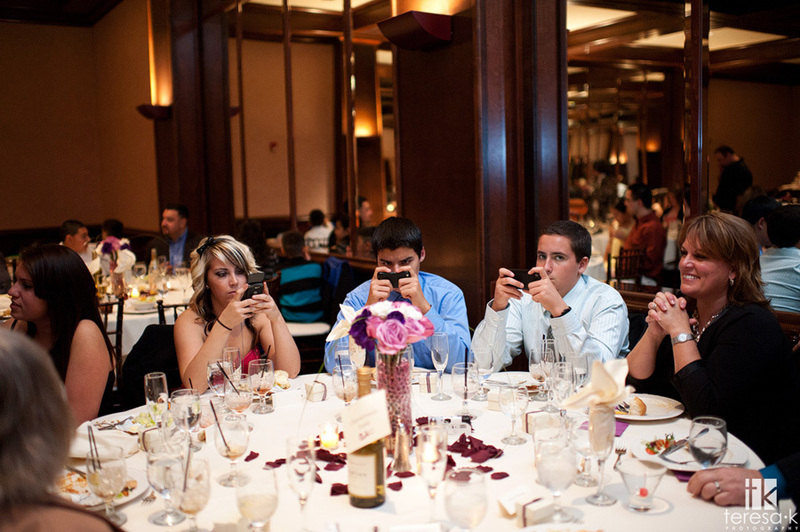 Are We Spending Too Much Time On The Phone While Dining Out? A couple dining at a restaurant stops a waitress to ask for her assistance for the Wi-Fi password on their phones. Another couple on the next table is busy taking a selfie with their food that just arrived. Do both scenarios mentioned above sound familiar to you? Connecting to the Wi-fi provided in the restaurant where you dine in and taking selfie with your food have become a habit to almost everyone who owns a smartphone. However, do you know that your Facebook and Instagram postings are actually slowing down restaurants’ services by about an hour compared to the last 10 years? An anonymous post in Craigslist has recently gone viral, with more than 750,000 shares. The writer of this now deleted post said his famous restaurant located at Manhattan’s Midtown East have received more negative feedbacks from its diners on slow service in recent years despite having more staffs hired. The writer then hired a firm to investigate what went wrong. From walking in to the restaurant until the diner left, the result showed that the time used in 2014 is 50 minutes more compared to year 2004. The fault is not on the staffs, but on the customers’ use of mobile phones. Although the post has gone viral in the social media, many have claimed that it was a fake post and there was no such restaurant. A food industry writer Luke O’Neil said, “I think this is clearly a fake – the whole scenario is made up”. Another writer on Bob Powers wrote a long article to dismiss the so-called “findings”. No matter if the said restaurant exists or not, it is worth asking ourselves – are we really spending too much time on gadgets that it could slow down a service or bring down human interaction? A survey on American smartphone owners done by Facebook last year revealed that those who have Facebook accounts, on average checked their newsfeed 14 times daily and 33 minutes were spent on the site. A news report published last month stated that Singaporeans are spending on average 38 minutes per session on Facebook and some 87 per cent of the 5.4 million population own smartphones. Owning a smartphone has slowly implanted a new habit to share every moment in our life with the social media community. However, this new habit is also slowly killing the day-to-day human interactions. Imagine having dinner with a group of friends, when suddenly one of you posts the photo of a dish that just arrived on your table, on Facebook. Everyone on the table, who are also your friends in Facebook start to comment and interact with you via Facebook (when they are actually sitting directly in front of you!). This scene is in fact a real life experience. It is so sad for us to have the friends on the same table, but interaction is made via Facebook instead. 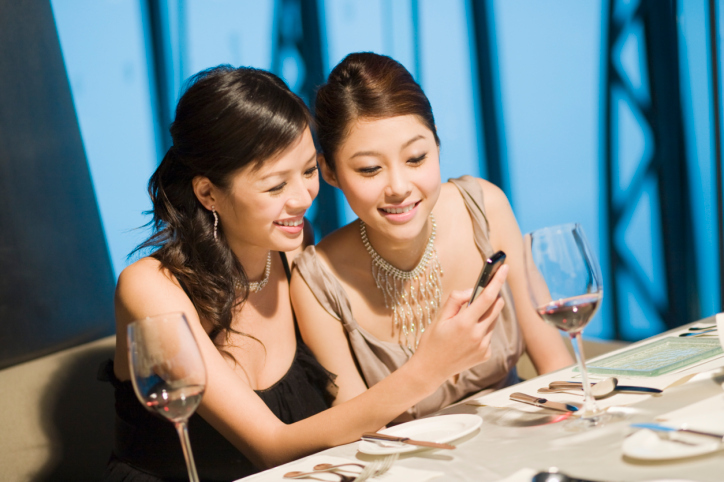 The next time you dine out, why not try to put aside your smartphone and start communicating with others face-to-face? Try to encourage your friends to do the same. 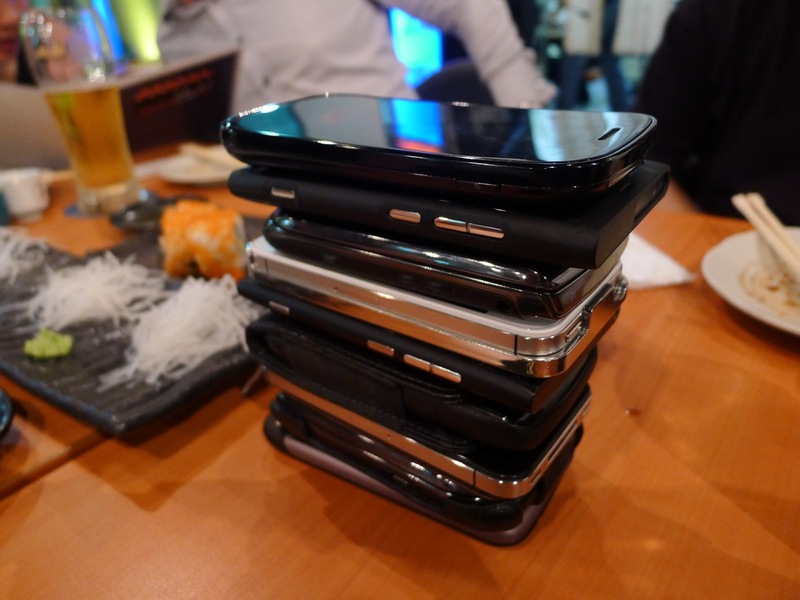 Or you could also create a game to force the smartphone addicts to get the bill. 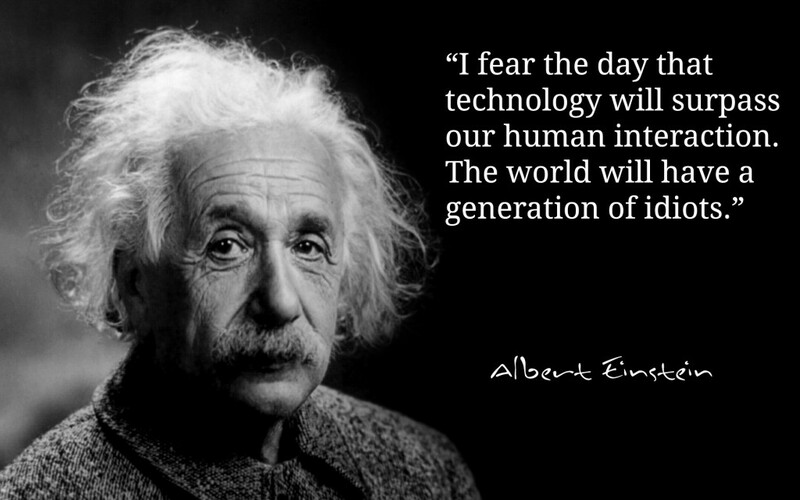 Let us make sure the generation of idiots will not be realized.